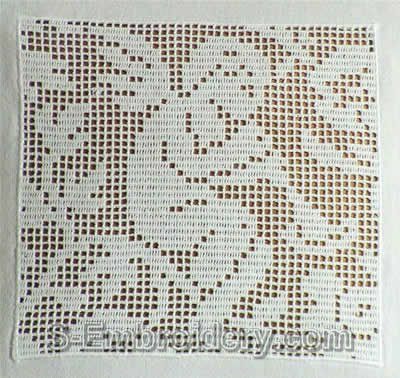 A freestanding lace crochet angel square that will make nice decoration for pillow cases, curtains and other embroidery projects. Notes: 1. This design is also available in the 10371 Free standing lace crochet angels set with 2 other designs: SKU 10369 and SKU 10370. If you purchase the set, you save 22% as compared to the price of the standalone designs. 2.If your machine has a hoop that will allow this design to fit in and stitch out in one pass, without having to reposition the hoop, we can deliver the set in any of the supported embroidery formats. 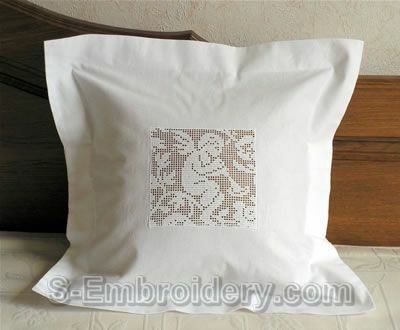 Our delivery includes information file(s) in PDF format and 1 machine embroidery file.